Most systems on the market are weather tight, with high performance rubber seals and brush seals. However, there are some systems that have little or no seals at all. One crude but easy test is to close a folding door onto a sheet of paper and try to pull the paper out. If it pulls out easily there is not a watertight compression on the seals. Additionally, incorporated within the tongue and groove feature is the ability to conceal a locking mechanism that engages hardened steel engineered shoot bolts directly into both the top and bottom track for added security with one simple throw of the handle. 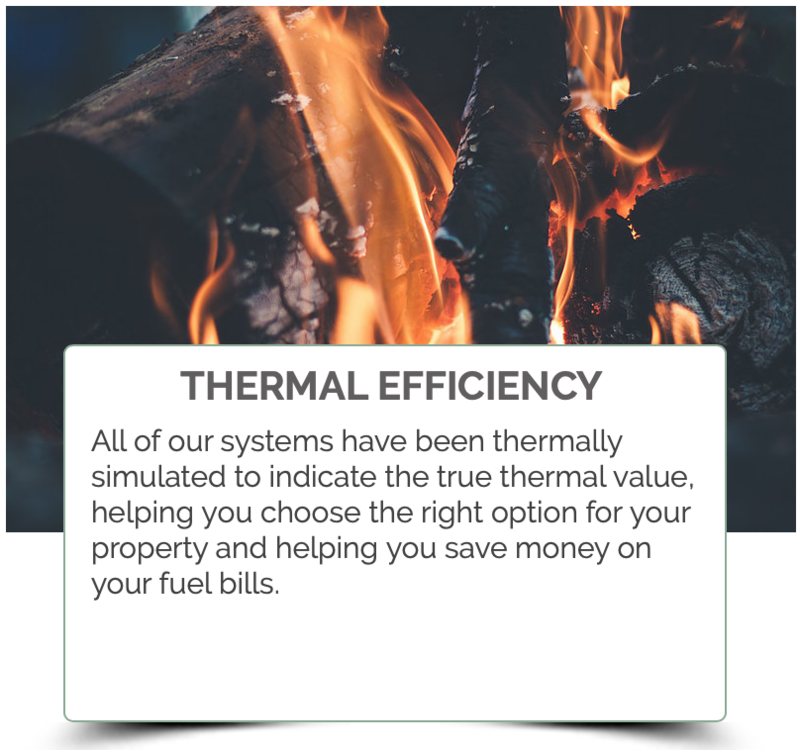 Reassurance if it were needed that with security comes peace of mind.To reduce the amount of thermal loss from the inside of your property, all of our systems have been thermal simulated to indicate the true thermal value. The thermal rating of a window or door is measured in U-Values, the lower the U-Value the better the rating. Many companies will give you a U-Value based on the center pane value or the U-Value of the glass (better than ‘A’ rated). This value will always be lower than the actual value of the complete window or door. There are several important differences between Canadian code requirements for window, door, and skylight products and the NAFS standard. These are addressed in CSA A440S1-09, the Canadian Supplement to NAFS. One of these differences is how water penetration test failure is defined, and this can affect products tested to NAFS in the United States.